Up to 3 Channels of music you select, including text requests with the Ultimate Package! 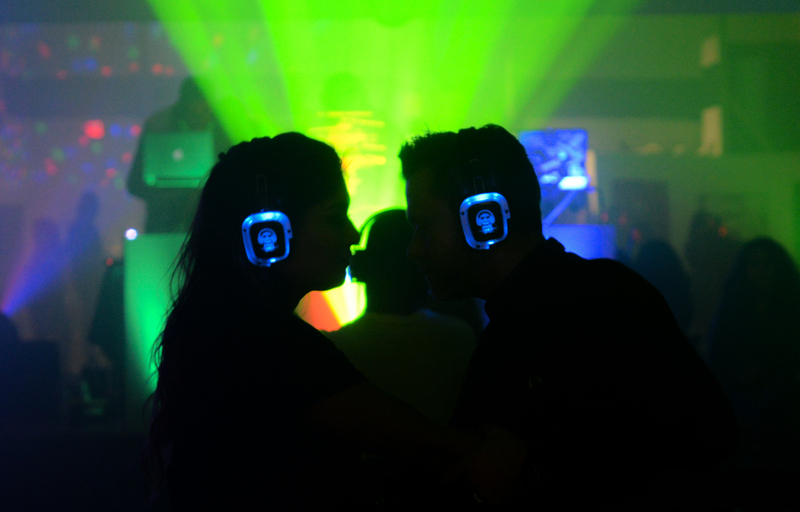 Headphones change color so you know what everyone else is listening and dancing to! Perfect for both daytime and late night events on campus! 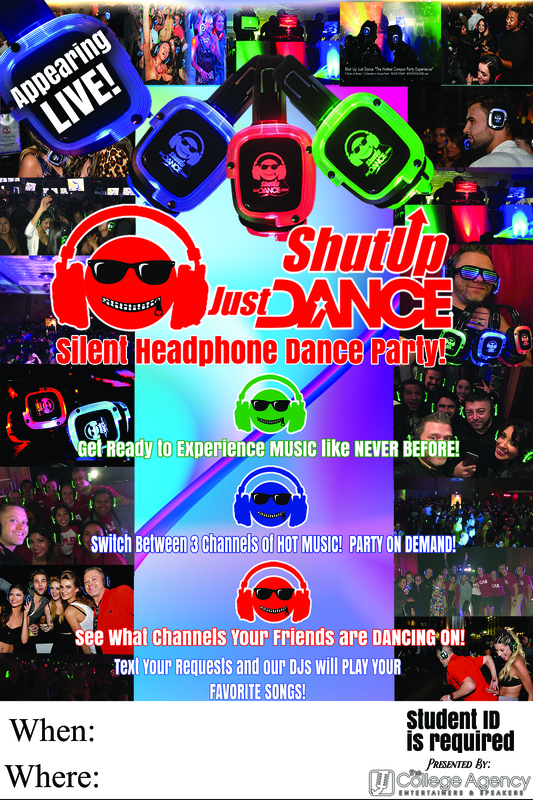 Join us for our next Shut Up Just Dance sponsored silent event! 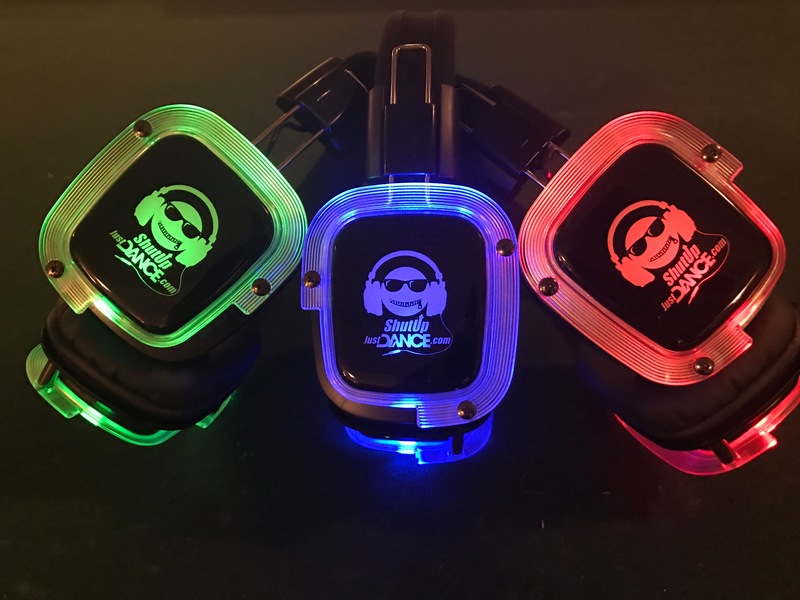 GRAB your Shut Up Just Dance set of headphones, and CHOOSE FROM the the DJ-Red, DJ-Blue or DJ-Green channels and get ready! You have up to 3 different music choices to dance to! Need a solution to a NOISY PROBLEM? Some events are good, but maybe you want to TURN UP THE VOLUME. Want to dance during the day, but there are classes going on? Want to do an event at a museum but don’t want to shake things up! WE HAVE YOUR SOLUTION! Planning an event? Want something different? 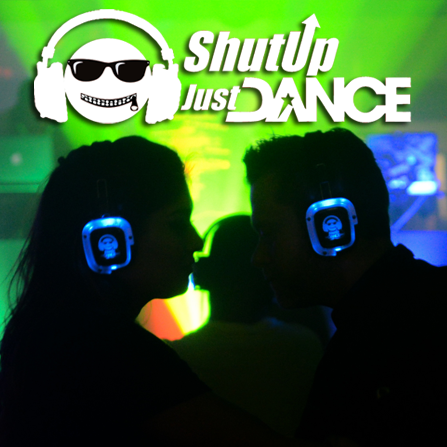 Shut Up Just Dance is a perfect fit for your student event! With up to 3 different channels of music, you can make your event multicultural or multilingual, or even hold a day time dance party in the middle of the union without interrupting anyone! It was one of the best experiences that ENMU has had for dance parties! We had over 300 students come to Shut Up Just Dance! That is 20% of our entire student body! Definitely the highlight of the semester! Shut Up Just Dance was the perfect choice for our winter ball! The text request line was a big hit.